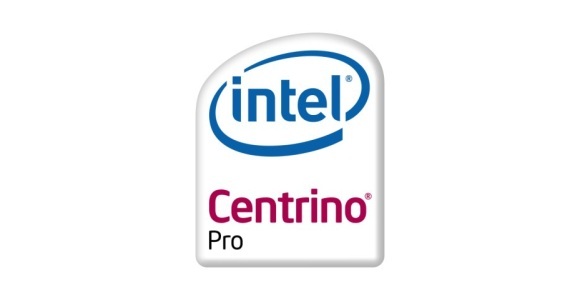 A popular technology at the moment and one that has been heavily advertised in the press is the Intel Centrino standard which is used to provide laptops with an all in one solution consisting of processor, chipset and wireless connection. After hearing one to many people describe Centrino as a processor I thought it was long time I took a look at exactly what this technology consists of and what it has to offer the average laptop user.The fact people see this technology so simplistically isn’t really too surprising as has been implied in Intel adverts that Centrino is a processor. –Pentium M Processor – This is a small and light processor that uses a relatively small amount of power which makes it ideal for use in a laptop machine as cooling needs are reduced and battery life is improved.Of course there are many different versions of the Pentium M Processor including just recently a Dual Core variant. –Intel Chipset – Several chipsets can be provided for the laptop to qualify as a ‘Centrino’ machine.Whichever chipset is chosen will be provided by Intel and be designed to have low power consumption. An essential part of any modern laptop which allows you to connect to either your home network via a wireless connection or a number of Internet ‘hot spots’ around the world.These hotspots can be located in cafes, airport lounges, hotels and many other locations. The Pentium M processor is surprisingly quick; especially the dual core version which has received good reviews in the press just recently.The processor has the ability to combine operations and works to anticipate instructions that will be issued to it in the future based on past behaviour. Whilst none of the Intel mobile processors are yet 64-bit it should be pointed out that this technology should be covered by Intel in late 2006 which coincidentally is also around the same time as the new 64-bit version of Windows is released. Because the processor uses such a small amount of energy it requires little cooling and generates only a small amount of heat which will result in improved battery.To conserve power the processor also slows itself down when not required meaning that it is not running at full speed even if you are just writing a Word document. It should be pointed out that although Intels rivals AMD do have a mobile processor of their own that they haven’t gone down the route of marketing an ‘all-in-one’ solution.Personally I find this quite surprising as Centrino have already gained a huge market share due to the average man in the street now wanting this technology by name due to the extensive advertising. It’s not often that I give Intel praise but in this instance the three components working together do appear very competent and anybody looking for a new laptop should certainly consider making sure it conforms to the Centrino standard..